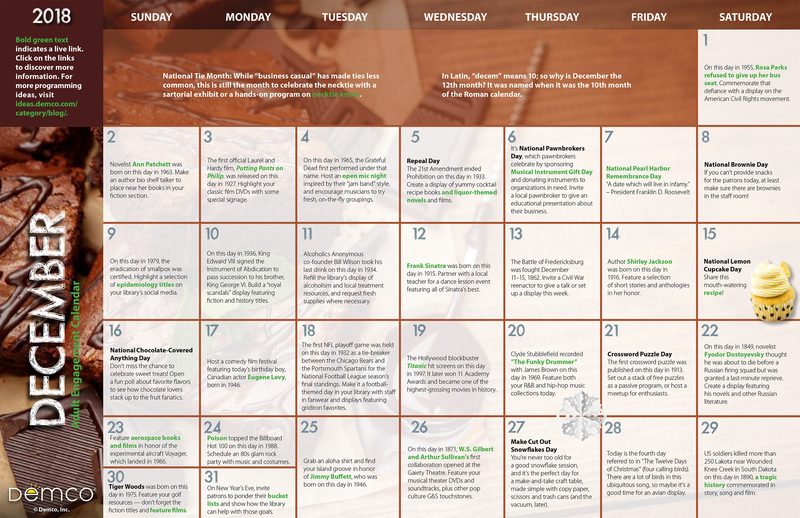 Make December merry with engaging adult programming in your library! 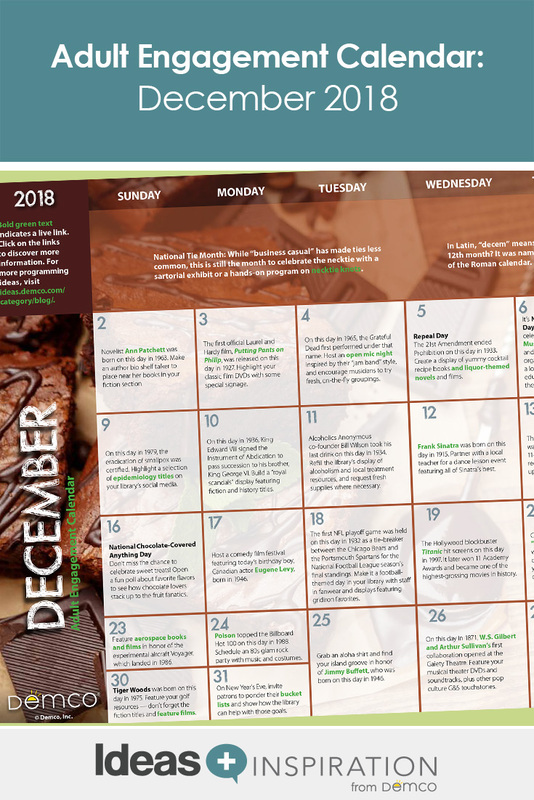 In addition to holiday fun, December brings National Brownie Day, Crossword Puzzle Day, and Make Cut Out Snowflakes Day, to name a few. Trisha Frankland offers display suggestions, craft projects, passive programming ideas and much more! Trish is a lifelong book geek, self-proclaimed word nerd, and regionally famous quilter who lives in Lodi, WI. She served as editor of the Collaborative Summer Library Program’s 2018 teen manual and 2019 children’s manual. For a decade, she was co-director of the Lodi Public Library. Visit her book blog, Library Pirates, and find her on Instagram @quiltchicken. My December will surely be merry with this adult activity calendar. I like the national brownie day!